Travelling solo or with a huge gang? We have found a beautiful stay for you. 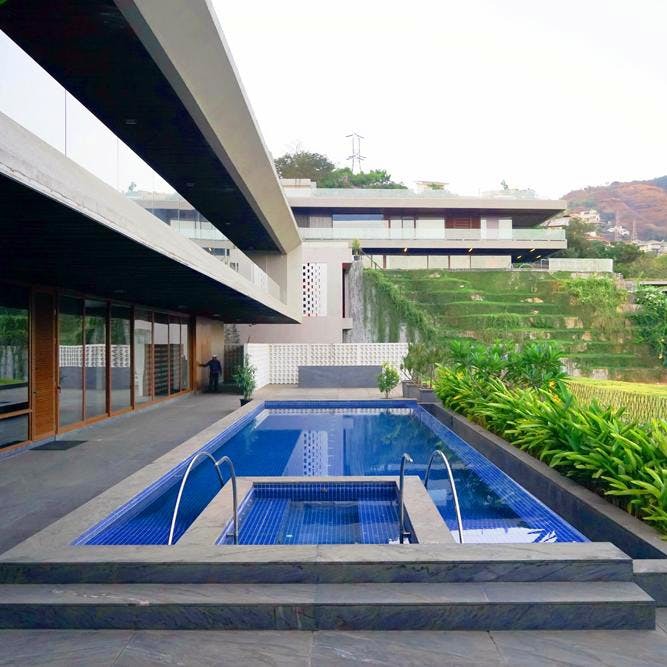 You can thank us later for Villa Zion, located in Khandala is a one-of-a-kind villa where you can wake up to the spectacular sunrise, meditate in the private garden and relax by the crystal blue pool of the property. Situated just 6 Km from Bushi Dam, this uber-chic villa is ideal for big families or solo travellers who are looking for a luxurious stay. The one feature that attracted us the most was its location which offers a spectacular view every morning. Just because you are living in the wild doesn't mean you have to let go of any modern luxuries. With a private swimming pool and a jacuzzi, the property offers all kinds of amenities that will make your stay comfortable. Visit all the nearby attractions such as Lion's Point, Bushy Dam, the wax museums and many more. Try out local delicacies and do not give a miss to roadside eateries that serve spicy misal and ginger tea. Don't underestimate the place for its food as you can find many Insta-worthy cafes and fast-food joints that serve different types of cuisine around the villa. If you want to avoid outside food, the property has a fully-functional kitchen where you can cook for your family. When travelling with extended family with kids, feel free to check in as this is an extremely family-friendly villa & children below six are provided with an extra bed free of cost. The garden is perfect for them to play while you relax and make memories with your loved ones. The property is spacious and has huge meadows outside. Sadly, you cannot get your furry friends along as the property is not pet-friendly. Make sure you carry cash as this property does not accept payments in any other form.